Up to 18′ display! VERY energy-efficient. 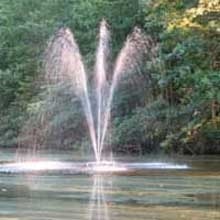 Fountain Tech’s original floating pond fountain. Great price on this one. This is a real steal. Compare to prices by other vendors. 1 -year warranty. Easy to assemble, no tools required. See our YouTube channel. Ready to plug and play, just connect to your GFCI for safety.Nice displays. 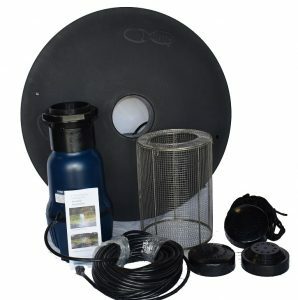 Each pond kit comes with 100′ of cable standard, 27″ float, steel filter basket, 100′ mooring rope, 3500 gallon per hour pump. 290 watts only! Standard 110-120v plug in. 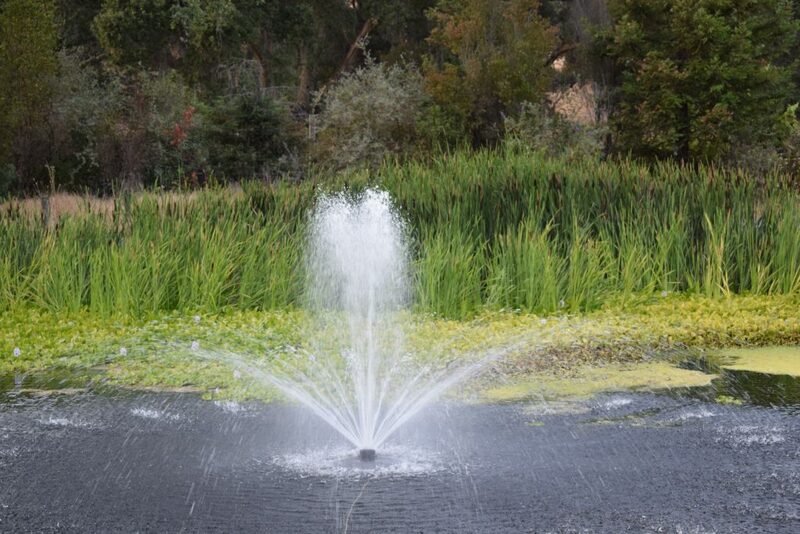 Our new large floating fountain kit comes complete with three 4″ nozzles, a 14,000 (!) gallon per hour, low-energy ( 560 watts) pump, heavy duty 27″ float, 100′ of nylon cable for mooring, and stainless steel filter basket. 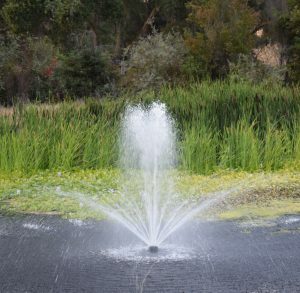 The displays aren’t as tall as some fountains, but this unit provides large water bubbles. 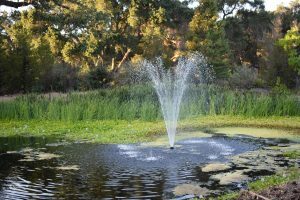 Definitely can help with pond aeration. Roaring displays.